Alauda Publications is happy to be attending the Offprint Paris – Art publishing fair from 9-12th of November, you will find us together with DIAP at Beaux-Arts de Paris. Stop by our table to have a look at our collection of books specialized in art/photography/artist books, and not to mention Alauda Publications new book ‘Outskirts’ – Daisuke Yokota. 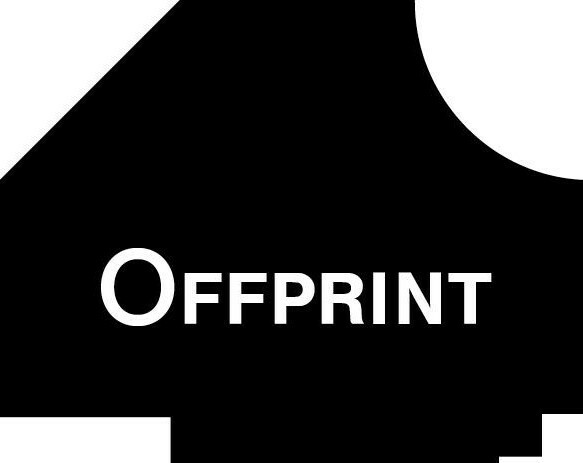 Offprint is a plattform supporting publishers in Art, Architecture, design, Humanities and Visual cultures. Focusing on discerning practices in these fields, Offprint aims to offer member of these communities a context in which they can maintain their integrity, their critical voice and their social role. Offprint is also organizing a program of conferences focusing on this years theme: Technology. We are truly looking forward to this, hope to see you there!